Handle demanding tasks and projects with the ORIGIN PC S-Class Professional Workstation Desktop. These custom systems were designed to be easily moved around an office building, occupy small spaces, and run software that will help finish your tasks or projects. With multiple case and tech kit options, ORIGIN PC S-Class Workstation Desktops can be built for specific needs and solutions, all while maintaining a low profile. Customize your S-Class Workstation Desktop with Intel Xeon processors, workstation graphics cards, and ECC RAM for maximum productivity. ORIGIN PC S-Class systems are supported by our award-winning support team, available 24/7 whenever you need them. Workstations should not take over an entire corner of your desk. 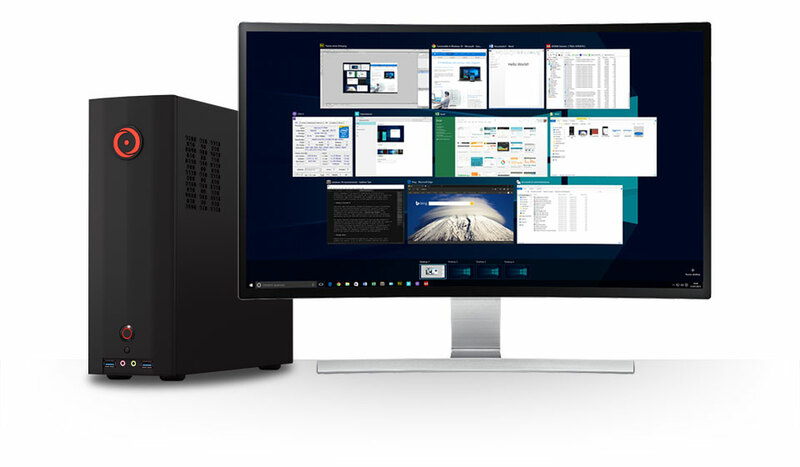 An ORIGIN PC S-Class desktop can provide incredible workstation performance without taking up precious office space. Run simulations, 3D renders, Autodesk software, and multiple virtual machines in a compact S-Class system without lag or slowdown. Powered by Intel’s Xeon processors, ORIGIN PC S-Class systems can handle multiple tasks thrown at it and handle intensive computations. S-Class systems can support up to 32GB of ECC DDR4 RAM, making sure your system can run a large range of applications at the same time without computational errors. 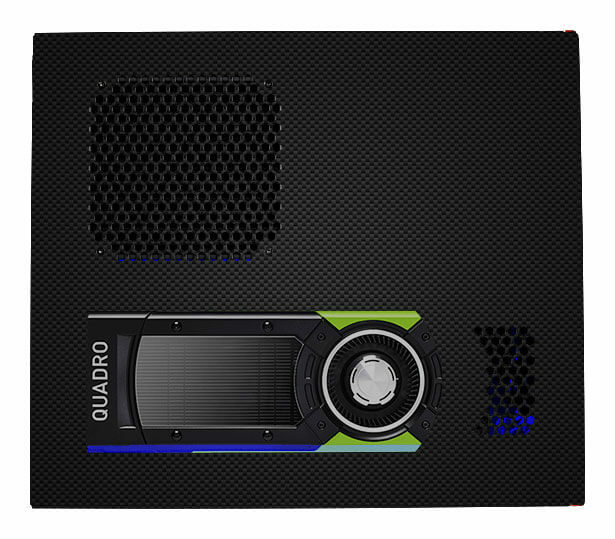 These small form factor systems also support full-size workstation graphics cards, perfect for applications enhanced by powerful workstation graphics for the best performance. With solid state drive storage, you can minimize wait times and speed up data retrieval. Customize your S-Class with next-generation NVIDIA® GeForce® RTX graphics cards for photorealistic graphics and renders. 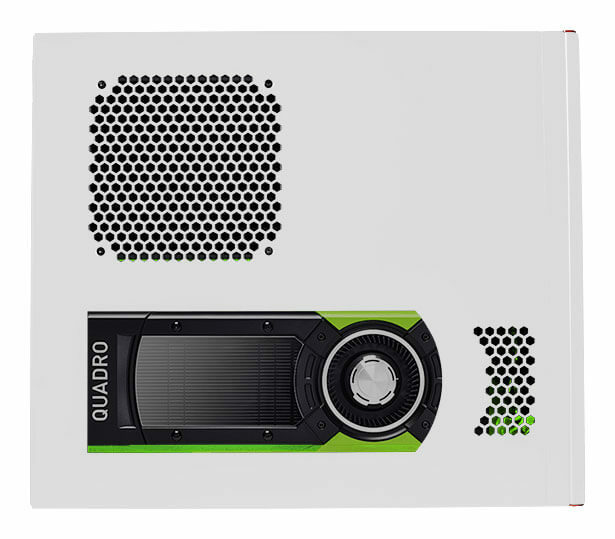 Powered by the new NVIDIA Turing™ GPU architecture, new RT cores for real-time ray tracing, and GDDR6 memory, the revolutionary RTX graphics cards bring together real-time ray tracing, artificial intelligence, and programmable shading to help you save time and create more. The new NVIDIA GeForce RTX GPUs are now available and offer you a whole new way to create media, visual effects, 3D models, and more. With several components generating heat in a small form factor case, system cooling is critical. S-Class workstation desktops are equipped with maintenance-free, self-contained FROSTBYTE sealed liquid cooling to ensure your processor operates at an ideal temperature under load. 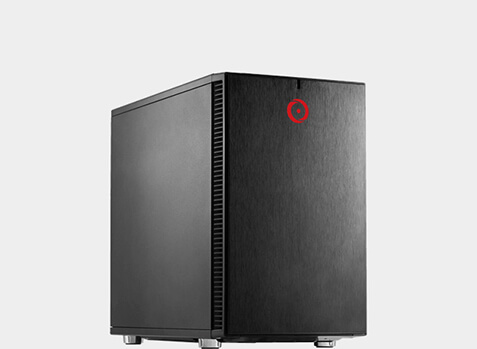 Our specially designed case fans maximize airflow throughout the internal compartment of your small form factor case of choice. This process removes hot air while bringing in cool air and keeping your workstation at optimal temperatures. The ORIGIN PC S-Class custom workstation features Intel Xeon processors designed for everyday tasks and professional software applications. 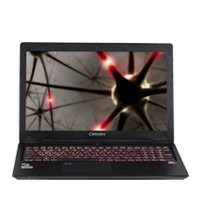 Our CPUs utilize the latest Turbo Boost Technology that sends additional power to your processor during intense use. Thanks to Hyper-Threading Technology, you have the ability to run demanding applications simultaneously, perfect for data analysts, content design professionals, editors, and programmers. Open multiple web browsers and surf the internet faster, all while your workstation remains stable and secure. 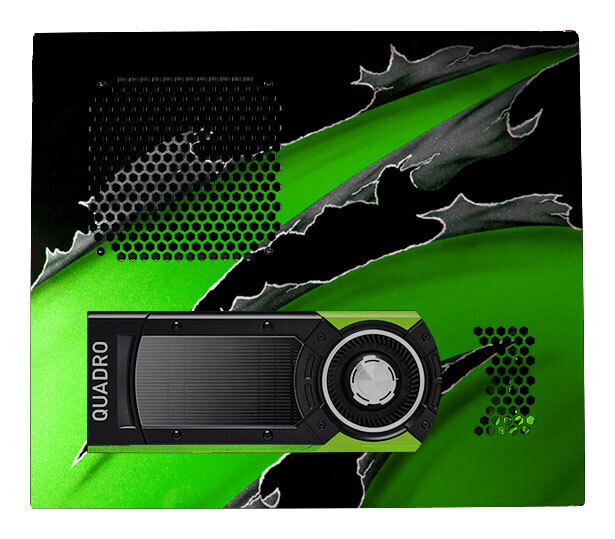 With the ORIGIN PC S-Class workstation desktops, you can expect support for full-size graphics cards such as next-generation NVIDIA GeForce RTX graphics cards or NVIDIA Quadro workstation graphics cards. 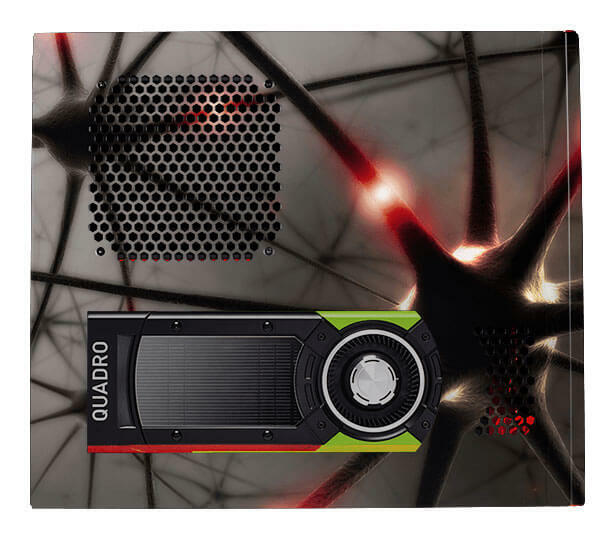 Customize your system with up to 24GB of graphics processing power for improved performance in CAD applications, VR development, or GPU-based computing. 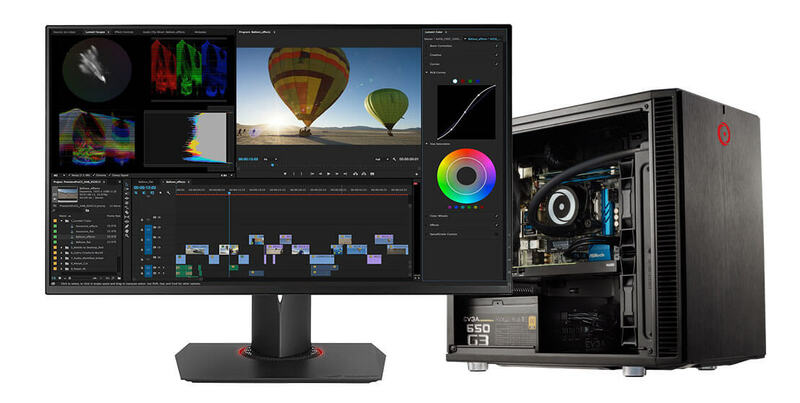 Connect multiple monitors to increase your productivity and get more screen real estate supporting resolutions up to 4K. All video card options utilize DirectX 12, for the best graphical performance. The S-Class custom workstation desktop uses the latest ECC dual channel DDR4 high-speed memory. This high-performance workstation RAM works in conjunction with your CPU to provide increased speed for all your system’s tasks. Load programs faster and run more applications at once without lag or slowdown. 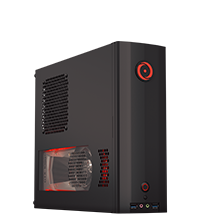 For creative content professionals, configure your ORIGIN PC with up to 64GBs of ECC RAM for lightning-fast 3D rendering and video editing. Store up to 36TB of data on your S-Class workstation desktop so you can manage large files for your projects or reports. Get incredible read and write speeds with the latest in SSD technology, so you can quickly search and open files. 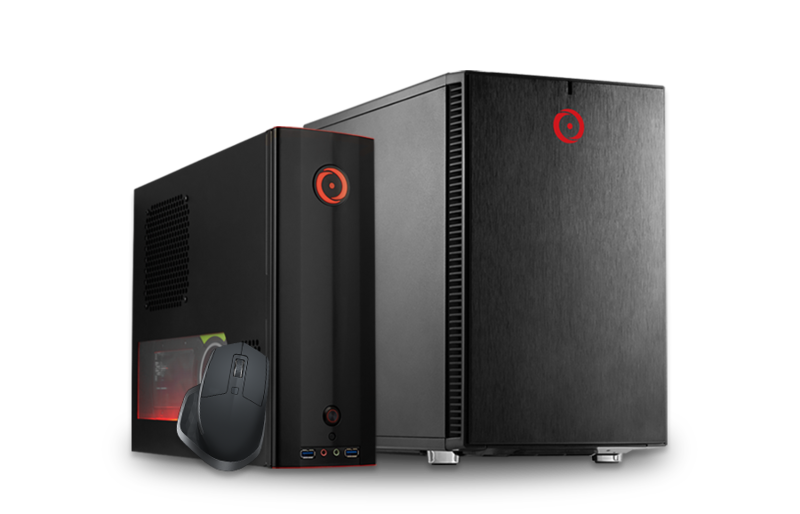 With the ORIGIN PC S-Class workstation desktop, you have the choice of multiple tech kits and cases. 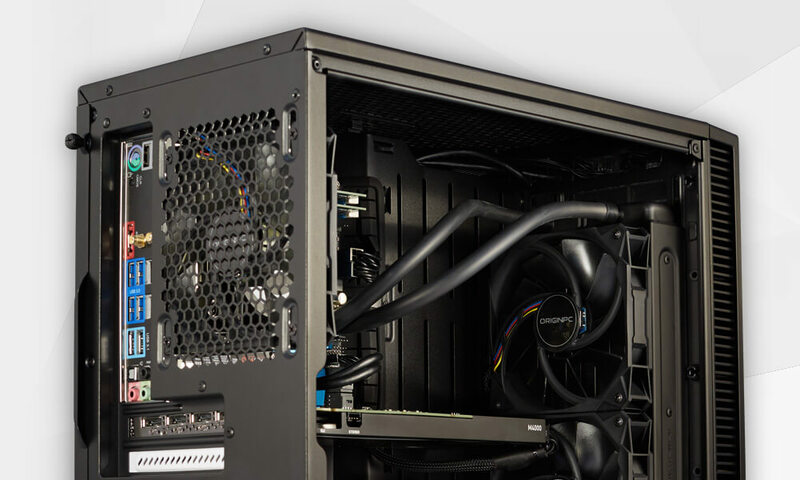 Each case and tech kit has been thoroughly tested for different solutions and work environments, so you can have comfort in knowing no matter what choice you make in customizing your system, you’ll have a high-performance ORIGIN PC ready for the tasks you need to handle. All S-Class systems are shipped with the latest version of Windows 10 so all the security and new features are already installed on your system without having to do any updates. Need your S-Class desktop shipped without an OS? Let us know, so your system can be prepared for the installation of the OS you need. (W) 4.00" x (H) 11.75" x (D) 13.75"
(W) 8" x (H) 13.5" x (D) 16.2"
After selecting one of our durable cases, add a splash of color by choosing from our wide array of paint options in both solid and shiny metallic finishes. 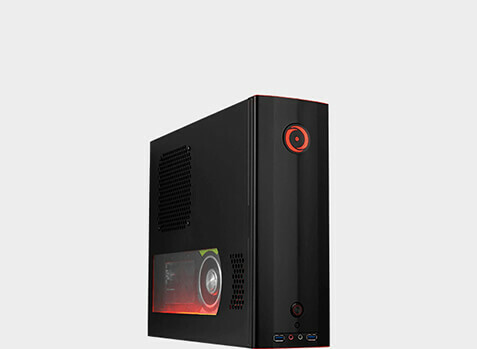 ORIGIN PC also offers multiple design options such as case lighting in red, blue, or green. Add a personal signature to your S-Class custom workstation by choosing your own custom artwork to be airbrushed onto your desktop. We can also airbrush your company or personal logo directly on your case. Need help coming up with a design? Contact one of our design engineers and we can help create one specially made for you. Our job does not end when your S-Class custom workstation arrives. Every ORIGIN PC system is backed by a lifetime service agreement. When you purchase your S-Class workstation, you will receive dedicated service, including labor, from our trained and experienced staff whenever you need it. We offer optional premier on-site support or repair services and can accommodate specific support services at your request. We offer support via email, online chat, 24/7 US based lifetime phone support, and more. 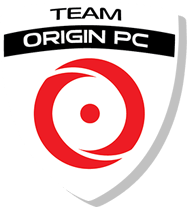 We offer a 1 Year Part Replacement and 45 day shipping warranty plan with all ORIGIN PCs. Optional extended part replacement and free shipping warranty plans are also available. With these special plans you won’t have to pay for parts or shipping costs if your system requires any servicing. ORIGIN PC S-CLASS - Unrivaled Quality & Performance.